Enjoy studying, save time for something that is important to you, and let APlusReports.com take care of the rest. Our custom papers, written by degreed experts, are just what you need on your way to academic excellence. We can write any custom paper - from a five-paragraph essay to a PhD dissertation! 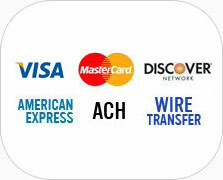 Choose most comfortable paying options, including payment by phone. Send precise requirements for your custom papers. Directly communicate with the writer and send additional materials for a custom paper.